In many popular real estate markets (including Colorado’s), sellers have sat in the driver’s seat, enjoying the fruits of what many consider a booming time in real estate. But just what constitutes a ‘hot’ housing market? With the national unemployment rate riding a 17-year low, of just 4.1%, down from 10% in 2009, a low unemployment rate is one driving force in a hot housing market, however, there are a number of contributing factors at hand. With fluctuating levels of inventory, and questions surrounding new tax laws, buyers and sellers are inclined to learn everything they can about the temperature of their local real estate market, in order to be best positioned for real estate success come spring. Locally, Colorado’s unemployment rate hovers between just 2.3% and 2.9%, indicating the strength of the state’s local economy. When houses sell, dozens of other industries including construction, finance, houseware, furniture, architects, etc., prosper, however, the national market is not immune to economic disparities when it comes to unemployment. “Faster economic growth, the stock market and continuous job growth are filling substantial demand for buying a home,” said Lawrence Yun, chief economist for National Association of Realtors. “That said, the rebound remains a bit uneven.” Where many cities have become more prosperous in thanks to lucrative technology jobs, improved oil and gas production, energy efficiencies/improvements, and rising home values, some areas, like many Southern and Midwestern cities, are still working to recover from the loss of manufacturing jobs that become automated, or lost to global labor competition. A market, like Colorado’s, with low unemployment, is not to be taken for granted when considering a ‘hot’ housing market. Today, the national inventory of “for sale” homes is holding steady at a 3.4-month supply, which is a distinct improvement from the 6 to 7-month supply held in 2009. According to Realtor.com, the national average priced home took 40 days to sell, where today in Denver metro, there is a 1.2-month supply of average-price available homes for sale, taking only 30 days to sell- both factors indicative of a still-hot housing market. In Boulder, the most recent broad measurement of appreciation by the Federal Government (FHFA.gov), showed a slight decrease of -0.59% in the third quarter of 2017, the first drop in many years. The annual appreciating rate measured at a robust 8.76% over the last twelve months, and the five-year total was one of the nation’s best, at 58.29%. So, the market has cooled somewhat, but relative to the super-heated market of the past two years, it’s still a market worthy of admiration by investors and homeowners from virtually every part of the country. Will new tax reforms impact the real estate market? Please speak with your accountant, but generally, not very much, especially in the lower to mid-upper price levels. Ultimately, the new $750,000 cap limit on mortgage interest deduction (for loans originated after 12/15/17) will likely have a small influence on the luxury market. “Only 1.3% of all U.S. mortgages are likely to be impacted by the capping of the mortgage interest deduction,” as stated by Joseph Kirchner, senior economist for Realtor.com. Currently, “Only 6% of homeowners have mortgages exceeding $750,000,” said Elizabeth Meadenhall, NAR President. The exclusion for capital gains remained unchanged stating homeowners must live in their home for two out of the past five years to qualify. There has been increased demand, nationally, from foreign homebuyers and investors. Total international sales volume in 2017 for the U.S. topped $153 billion, which was 49% above the prior year, with the top five countries (China, Canada, UK, Mexico and India) representing about half the sales at $77.3 billion. Metro Denver values have increased nearly 50% since 2012, with price appreciation over 8% in 2017 (the national average was +/- 6%). 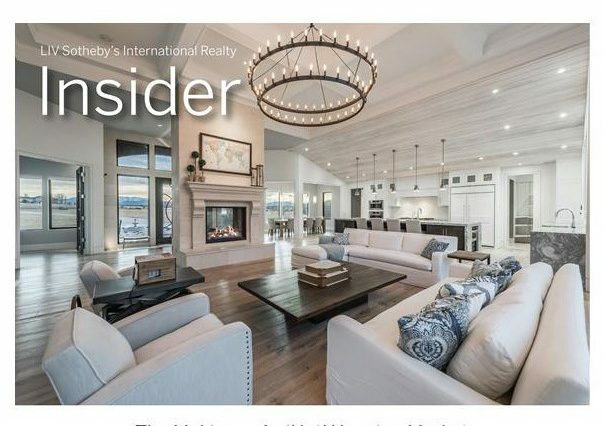 In Resort communities throughout Colorado, many foreign investors continue to turn paper profits into hard assets, including real estate- a benefit of increased foreign investments in resort real estate. The luxury market (over $1 million) is also currently performing well, but with different characteristics and attributes. According to the year-end study conducted by LIV Sotheby’s International Realty, total sales volume of luxury homes was a solid 20% more than in 2016 and the number of homes sold was also 19% higher. The price gap between the mid and mid-upper price ranges has been shrinking in the last several years. Meaning, that although sales have impressively increased, values have been rising from 1%-4% in the last four years. Perhaps slower luxury price increases have led to this increased activity (and potential opportunities). In Colorado’s famous Resort communities, the luxury market performs differently. Low inventory, coupled with continued demand for desirable luxury properties, often drives prices up, creating well performing luxury markets in these areas. Most 2018 real estate market predictions continue to remain bright, but with some minor adjustments. Inventory levels for the average Denver home should (slightly) increase by summer, and will likely take longer to sell in mid to upper price ranges. Mortgage rates are projected to inch up from 4%, to between 4.5% and 5%, before year end. No matter what your real estate goals are in 2018, determining if your neighborhood is a part of a hot housing market, will help you make better real estate decisions whether buying or selling a home.